We only utilize a small fraction of the sun’s energy for human purposes. A larger amount of sunlight is used in photosynthesis and warms the planet, but much of the light from the sun simply goes unused. Wouldn’t it be great if we could find ways to harness more of the sun’s energy? Students gathered around to witness the cooking power of the sun. 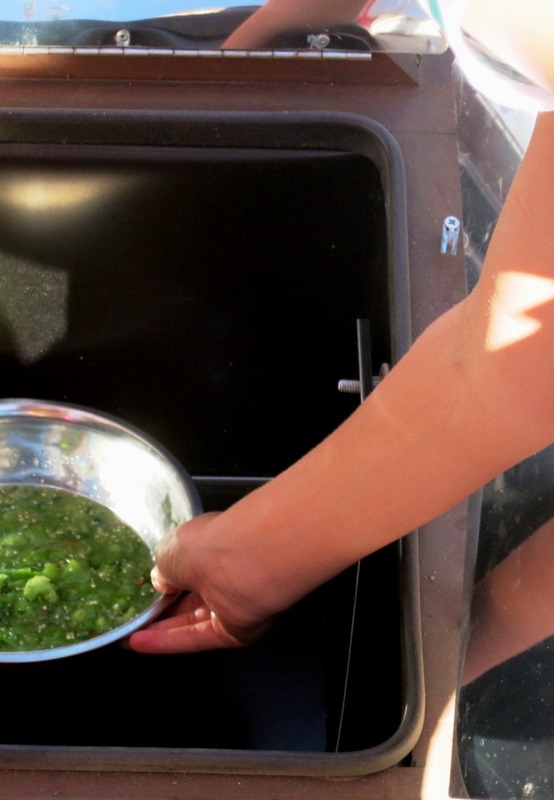 One simple way people can harness the sun’s unused light energy is to use a solar oven. Here at Pathfinder, we have a professionally built solar oven that we bring out for students. On a warm January day, it will reach over 250 degrees Fahrenheit! In summer, our oven can easily top the 300 degree Fahrenheit thermometer in the oven. We’ve made many the tasty treat for our students using this great piece of technology. Solar Salsa, cooked in our solar oven. There are also plans on the internet about how to build your own solar oven out of simple supplies like a pizza box and aluminum foil. Follow this link to one such project, courtesy of Scientific American. (http://www.scientificamerican.com/article/sunny-science-build-a-pizza-box-solar-oven/) Your pizza box oven can get up to 200 degrees Fahrenheit. That’s warm enough to melt cheese and chocolate! There are also many kits that can be purchased to help students learn about how solar energy can be transformed into electrical energy. These kits utilize small solar panels so that students can experience solar engineering first hand. To find the right kit for you, try using the search terms solar energy kit or renewable energy kit. Students used their engineering skills to construct a solar windmill. Solar energy is a growing field of energy production. Who knows? Perhaps a student of today will innovate the next great leap in harnessing the sun’s rays for human use. The sun is shining and waiting for us to use it! Announcing the New Zero Waste Awards! THAT’S A LOT OF WASTE!!! Help win a Gold, Silver, or Bronze Plate for your school! There are things that we can do! If you have already been to Pathfinder, you know all about Garbology and how you can do Garbology at home. If you are new to Pathfinder, check out this blog from March 6th to find out all about how Garbology works. Then, you can practice at home and at school before you come up to Pathfinder. Practice will be important because we are starting an awards program for schools that achieve zero waste at meals. In addition to the pride of knowing they are awesome and have zero waste meals, schools can now earn awards for zero waste meals! Schools that have zero waste for three or more meals are awarded the Gold Plate. 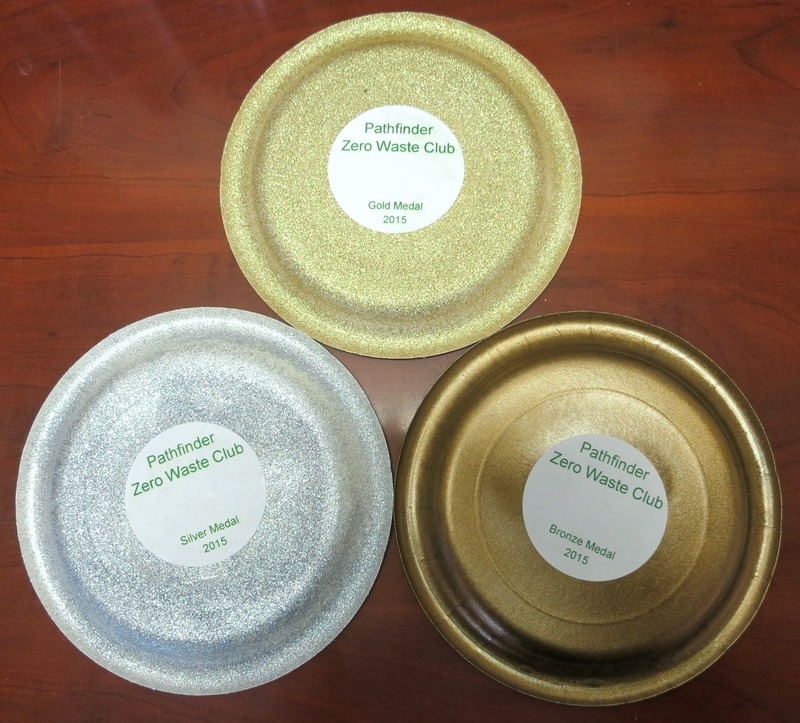 Schools that have two meals of zero waste are awarded the Silver Plate, and schools that have one meal of zero waste are awarded the Bronze Plate. So start practicing, and get ready to earn your school the Gold Plate award! What a week here at Pathfinder Ranch! The rain came down hard this week, but that didn’t stop us from having a blast! The kids threw on ponchos and loved playing games and even hiking in the rain. Our students got to spend some great one on one time with the horses including feeding, grooming, and saddling on their own! 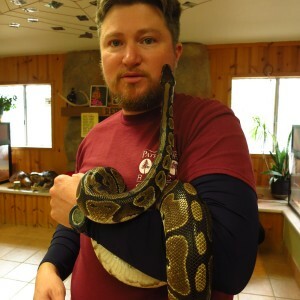 We also got to take advantage of our great Nature Center, where Gwar the ball python got lots of love from excited kids. Canyon is handling Gwar as he finishes taking care of the animals. 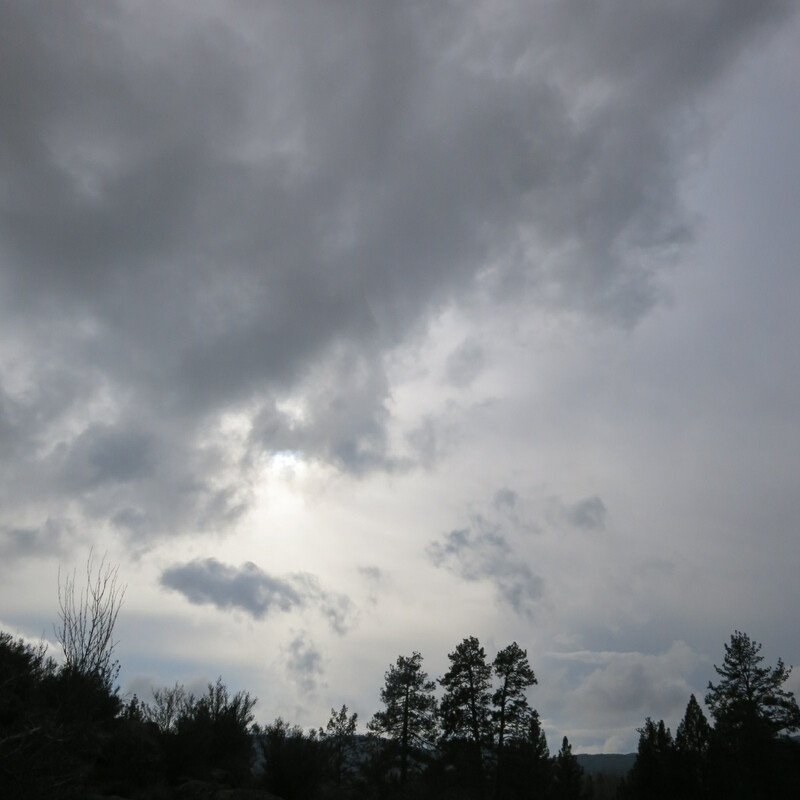 Although the rain makes it a little more difficult to get outside and play, we all breathed a sigh of relief knowing that we are finally getting some much needed rain here in California. The below average precipitation over the past decade has led to some serious situations such as drinking water shortages, salmon habitat destruction, farm shut downs, and increased prices for crops and livestock. A study on tree rings recently discovered that we are in the worst drought that California has experienced for 1200 years! The storm dropped a steady amount of rain most of the week. Our washes are filled with water after several months of being bone dry. 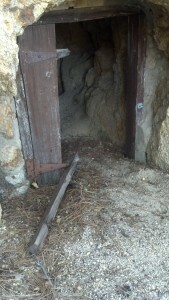 As always, things have been busy here at Pathfinder Ranch. Recently, Pathfinder Ranch hosted a semi-annual conference for the California Association for Environmental and Outdoor Education (www.AEOE.org or www.facebook.com/caeoe). We had educators coming from all over the southern half of the state. We spent time in the professional development workshops as well as learned some new campfire skits and songs. Several of our own staff presented some of these workshops. Our Outdoor Education Director, Ryan, facilitated a discussion with other directors to talk about issues we face, and how to improve each of our programs. Luna and Willow brought out the horses to show how we use them in our classes, and gave participants a taste of our ExCEEd (Equine Centered Experiential Education…team-building with horses) class. Imagine our team challenge programs with a horse as your teammate! There are pictures on our Facebook page of this class in action. Canyon gave a tour of our nature center including meeting our animals, and discussed how we can make nature center experiences more engaging and meaningful for our students. Look forward to a few more displays and activities when you visit later in the school year! We went to a workshop on solar energy where we built a solar powered wheelie robot similar to what you can build in our energy class. We also learned some things about solar energy that we will be sharing in our classes. There was a good workshop on using poetry as a kinesthetic learning tool with some great tips on helping students be very creative while working within the limits of outdoor education. We also had a great workshop on sustainability, parts of which will go nicely into our permaculture class involving farm animals, garden plants, and energy cycles. It was taught by the Green Camps Initiative (GCI- www.greencampsinitiative.org). The GCI Director shared a lot of fun and thought provoking activities that you will be seeing soon in some of our classes. Visit the website to see some great activities that you can implement back at school and at home. We learned that it takes 5,200 gallons of water to process the ingredients and produce one chocolate bar. Staggering! We also went to workshops about inclusion, Common Core standards, astronomy, Ant-O-Lympics, citizen science projects, and team-building. We are excited to start using the new things we learned in our classes, and we hope you are excited to see them, too! 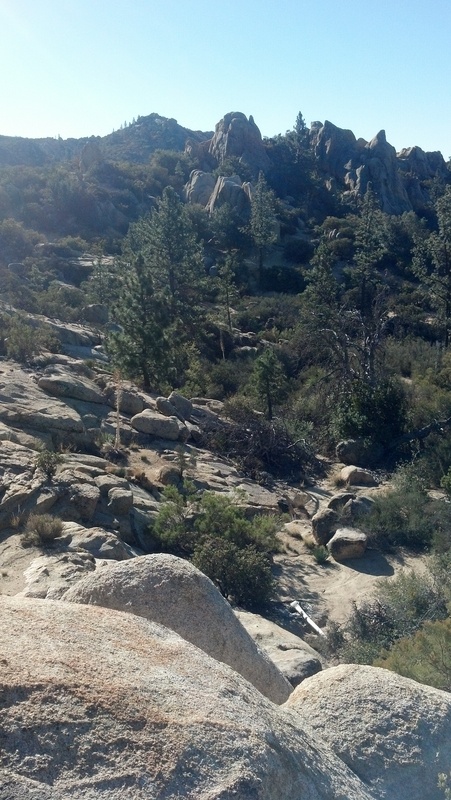 See you down the trail! 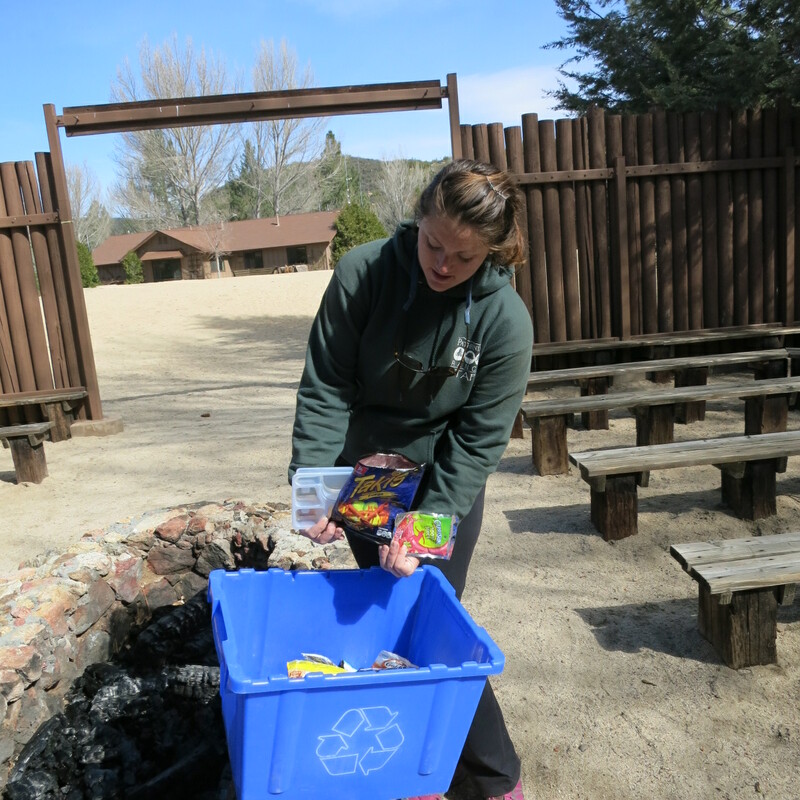 During the week of October 3rd through October 10th, 2014, Pathfinder Ranch conducted a waste audit. We collected, sorted, and weighed all of the waste that we produced during that week. We counted all of the waste going to the landfill as well as waste that was being diverted (i.e. sent to other places). 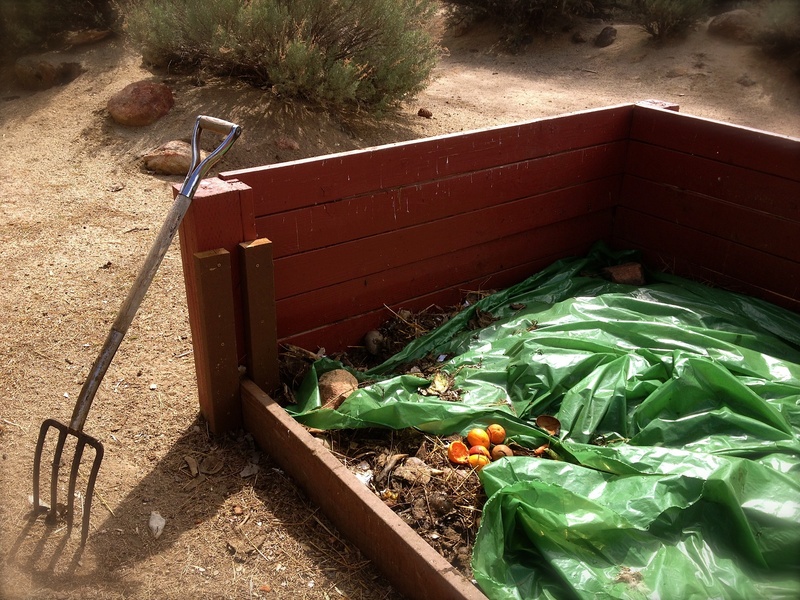 The diverted waste included food that went to our compost pile and materials that we took to a recycling center. We did this audit to look at how well we are practicing the three “R’s”: Reduce, Reuse, and Recycle. In 2002, Pathfinder did our first waste audit, and found that only 27.6% of the total waste was being diverted to compost or recycling. Since then, we have been doing more and more to reduce how much waste we produce and increase the percent that we divert from landfills. This year, our waste audit showed that we have increased the percent of our waste diverted to 46.6%! This is a fantastic change and we owe a big “Thank You!” to all of our visitors for helping us get to this level. We would love to hear your suggestions of how we can reduce our waste by commenting below, messaging us on Facebook, or filling out an evaluation during your trip. Ask a staff member to help you sort your waste into the appropriate places during your trip. Try to reduce the amount of packaging in your sack lunches for your arrival day by purchasing/making foods and drinks with as little packaging as possible. So why did we do this? We wanted to know how big our ecological footprint is. An ecological footprint is how much of an impact we have on our earth’s ecosystems based on the things we do every day. For example, how long of showers you take, the types of food that you eat, how you get to school, how often you buy new things, and how much waste you create, all affect the ecosystems around us. 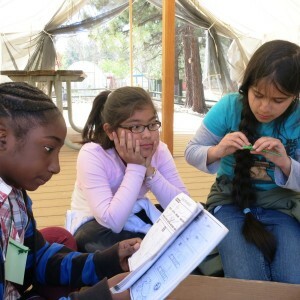 You can take a quiz from Islandwood Outdoor Learning Center, to find out your ecological footprint using this link http://footprint-calculator.islandwood.org/ . You can also complete your own waste audit at school or in your home to see how much waste is being produced and how you can reduce it. 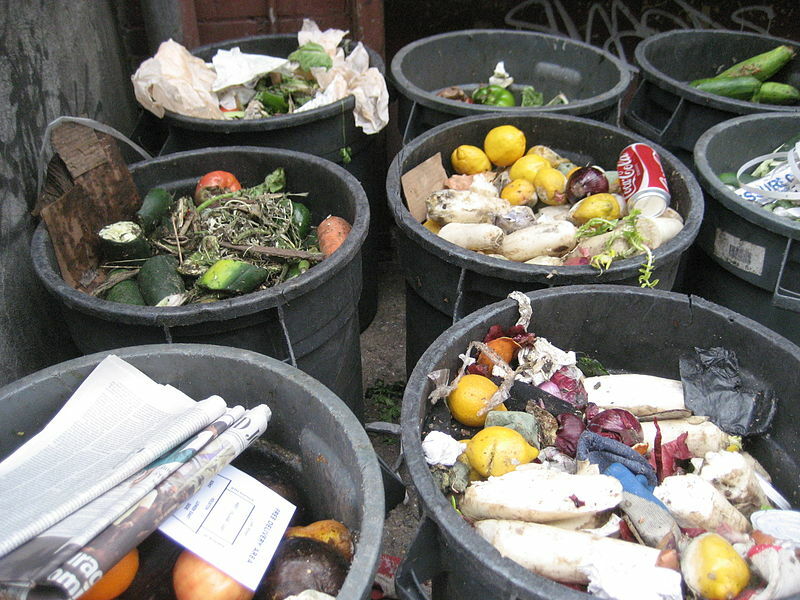 Look at Willow’s blog from October 2, 2013 to find out how to complete your own waste audit. 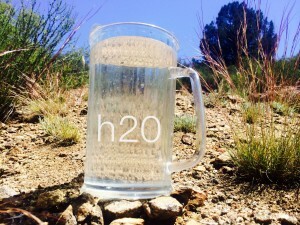 Water Shortage And How You Can Make a Difference! 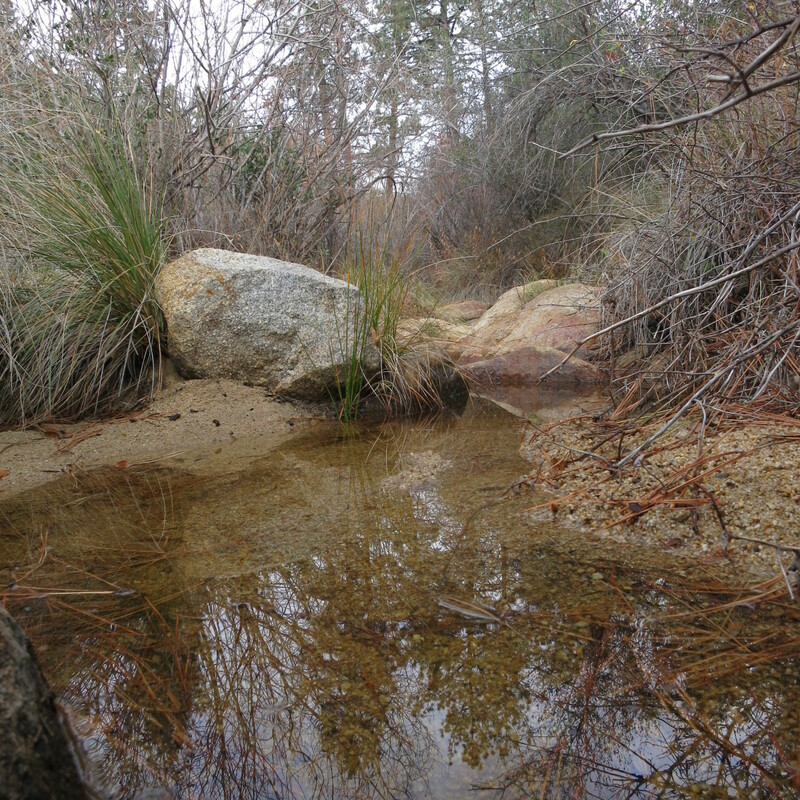 As summer approaches, we at Pathfinder Ranch turn our attention to the concern of water shortage and how we can conserve this precious resource. In Garner Valley and in the surrounding mountains, there has been a lack of regular rainfall and snow this winter and spring. What this means for Pathfinder Ranch is that we must take certain steps in order to conserve what precious water we do have. 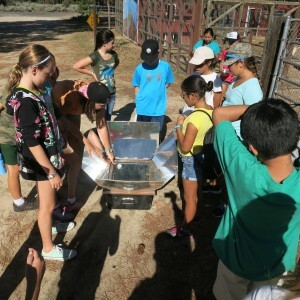 Students staying here at Pathfinder Ranch help us conserve water by taking three minute showers, not dumping water from their bottles onto the ground, and not letting water run excessively from sinks and faucets. 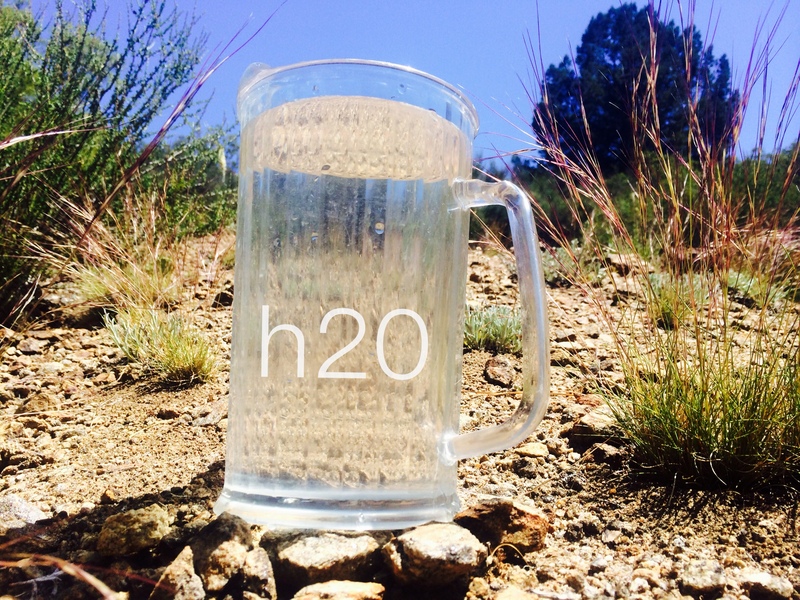 Keep one glass for water and reuse it throughout the day, or refill a water bottle. This will cut down on the number of glasses to wash. Instead of just letting the water run while you’re washing dishes, try filling up two basins, one for washing and one for rinsing. You can also use the water you’ve collected to help water the house/garden plants rather than dumping it down the drain afterwards. Time your shower to keep it under 5 minutes. If your bathroom has low flow shower heads you’re using between 1 and 2 gallons per minute. So, if you cut your showers from 10 minutes to 5 minutes, you’re saving up to 10 gallons per shower! Turn off the water while brushing your teeth and you could save up to 4 gallons a minute. Check all of your faucets, shower heads, and hose handles for any leaks. When doing laundry, make sure to match the water level to the size of the load. Try to only do full loads to save on electricity as well. You can also collect water from your roof by installing gutters and downspouts that have pipes leading to large plants/trees/bushes. Or even better, install a cistern or large collection container to store this water for the drier summer months. This water could be used later to water your plants or wash your family’s car. Most importantly, make sure to spread the word to family and friends that we all need to conserve water. We can’t survive without water, so make sure to use this valuable resource wisely and do your part to help conserve water! Spring is just around the corner, and like the plants that are being reborn all around Pathfinder, the garden is getting revitalized, too! Spring cleaning has begun and the garden is getting a fresh make-over. All hands are on deck as Pathfinder gets ready for the warm weather and 50th year celebration in April. Maintenance began a project in the front lobby to try and get some plants growing even earlier than the cold would allow; and it worked! Live in a cold place, or have soil with little to no nutrients? 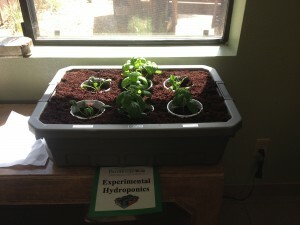 Check out our experimental hydroponics system. 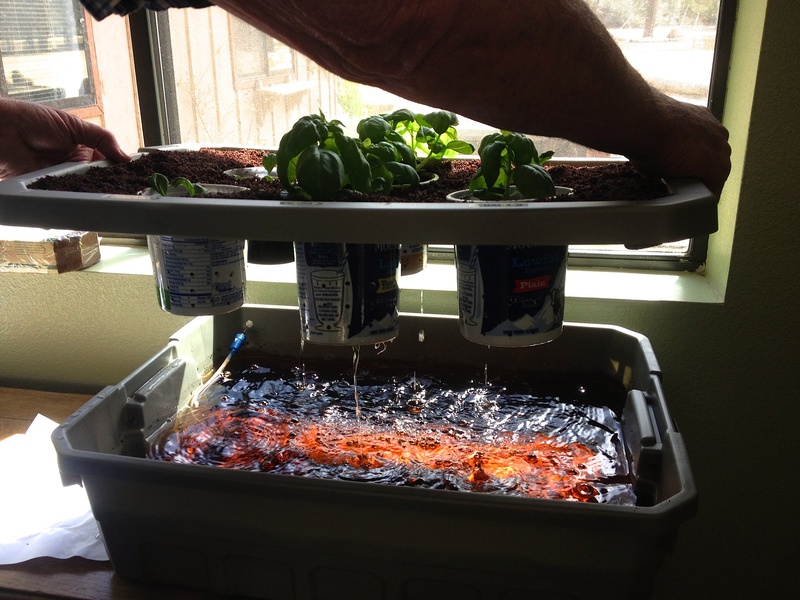 Hydroponics doesn’t require soil. Instead, the plants are placed in plastic containers (drill holes through the sides and bottom) that are filled with shredded coconut medium, which absorbs water and nutrients from the water basin that it’s submerged in. 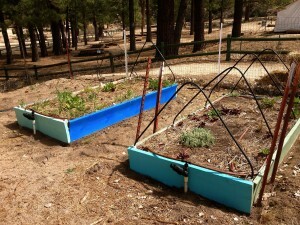 We used an old plastic bin, recycled yogurt containers, an aquarium pump, and 6 gallons of purified water. Instead of daily watering, with hydroponics you can simply add 1 gallon of water every two weeks! Insides of our hydroponics system. Experimental hydroponics in our office lobby. Not only can plants grow year round when protected from the elements outside, but you can also save both space and water! In our experiment, the basil is flourishing but our spinach is not. Try it at home and post the results of your own hydroponics system on our Facebook page. We’d sure love to know! Another project a few Naturalists have been working on is our compost. As the weather gets warmer, and we want to grow many more things than will fit in our hydroponics system, we need soil for our plants to thrive in. 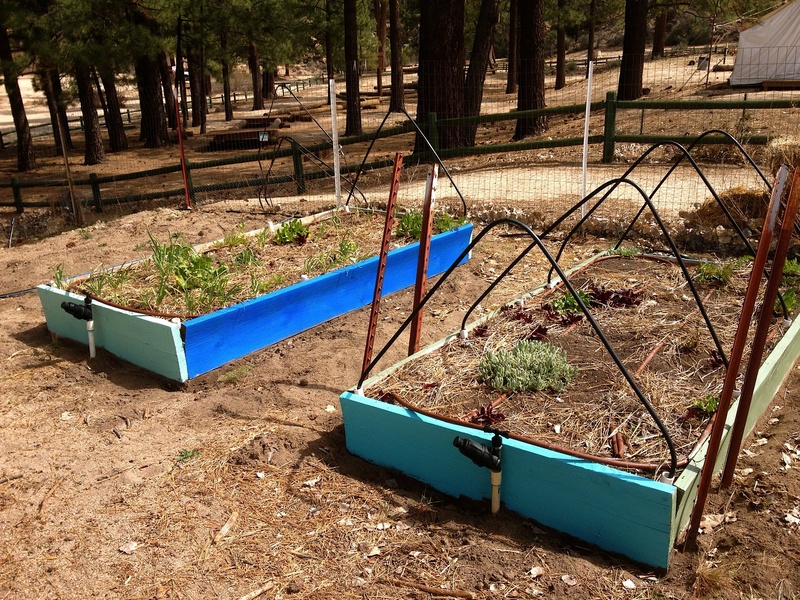 As old plant matter breaks down, it creates fertile soil which you can use for planting. This decomposition harnesses the power of the circle of life. Why buy something you normally just throw away each day? 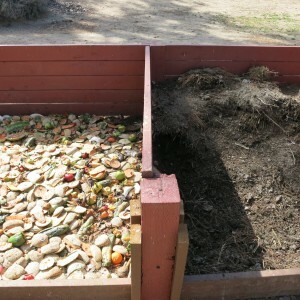 Use those food scraps and start your own compost. Your garden will love you for it! 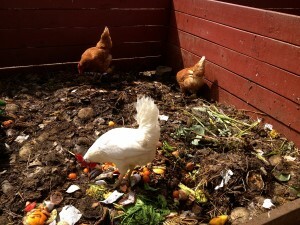 Chickens rummaging through our compost. 1. Dig your compost pile down at least a few inches. This makes the pile easier to turn and keeps heat in. Keeping the pile warmer will produce soil sooner. 2. Cover your compost. Again, this keeps it nice and warm which breaks down material faster. This also helps to keep unwanted critters away. 3. Turn your compost. There are plenty of fun ways to do this, including rolling it around in an old trash can! The reason is simple..all those microbes and other organisms like earthworms that help the food turn to soil need the help of oxygen. 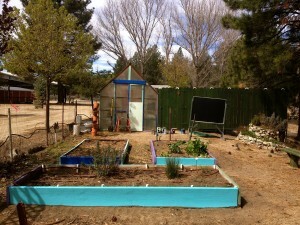 New projects are springing forward to make this year’s garden the most beautiful and bountiful yet! We’ve had some amazing 4th-6th grade gardeners already come and help plant many new crops. How about you? This spring you too could revitalize that little plot of green space or an empty windowsill into a lean, mean food producing machine! For our schools that have already attended, we know that you love and miss garbology (the study of food waste). For our schools yet to come, we hope you’re getting excited, but why should we keep this important program all to ourselves?! Why not bring Garbology and conservation back to your schools, homes, and local communities?! To help get you started, you should check out this fun website that talks about garbology: http://www.naturebridge.org/garbology.php. We graph our food waste for the week on our Garbology chart. 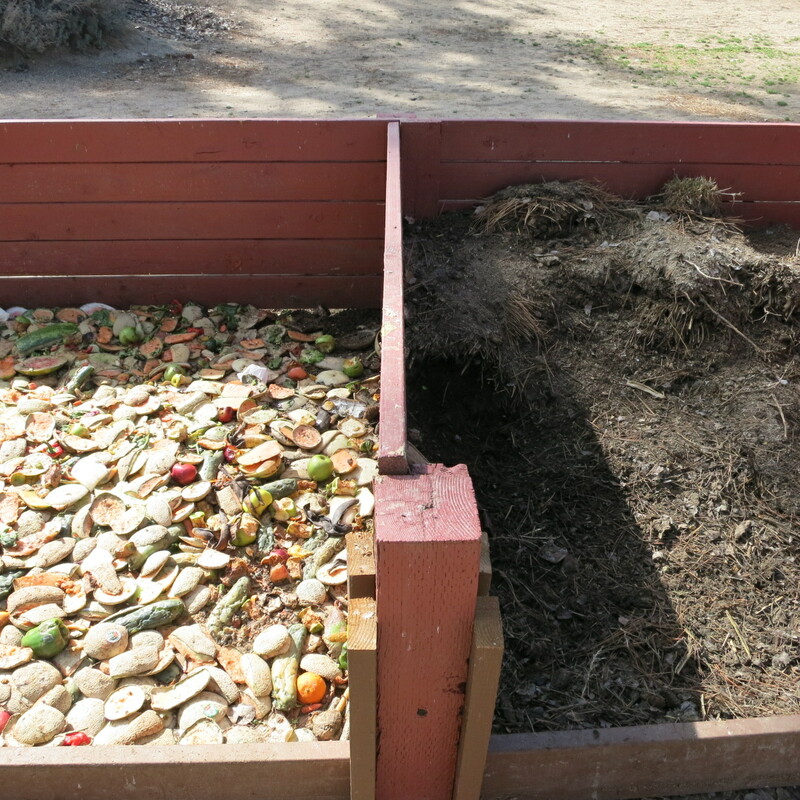 The compost pile on the left is still being added to, while the pile on the right is ready for spring planting! Talk to your family about studying what you throw away each week. Then, you can see if you can reduce the amount of waste going to a landfill by looking at what can be REUSED, COMPOSTED, or RECYCLED. You can find a list of things that can be recycled by looking at your city’s waste and recycling website. 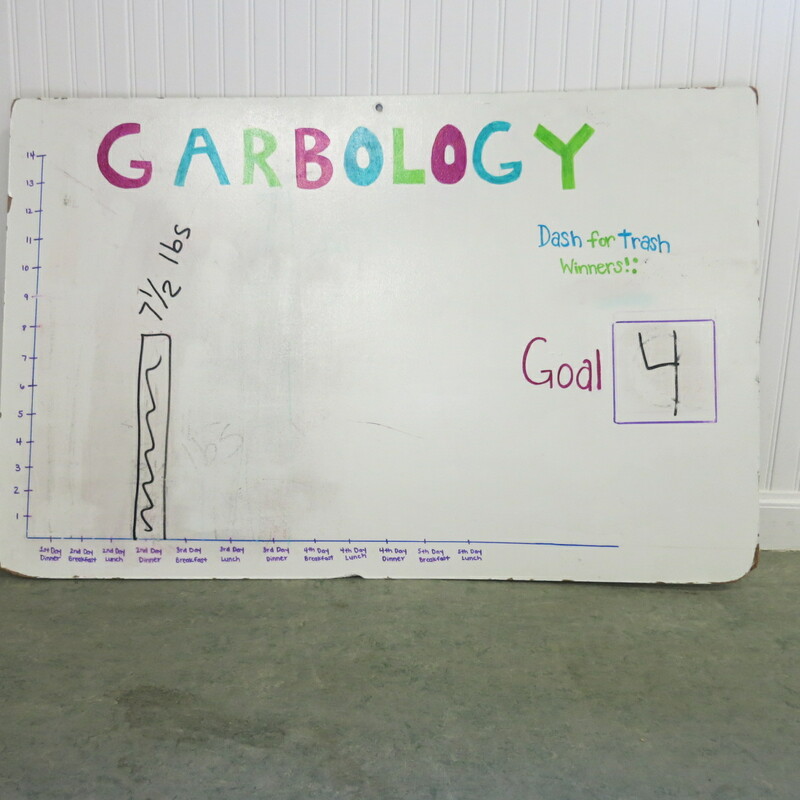 You can bring garbology to your school by encouraging your classmates to look at what they are throwing away at lunch and in the classrooms. 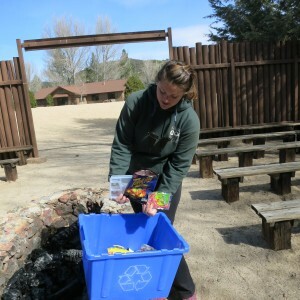 Just like at Pathfinder, the waste from your lunches can be sorted into recycling, compost, and trash. If you do not have recycling or composting at your school, you can ask your teachers and your principal to help you start these programs. You can also talk to your school about signing up for a cool program called TerraCycle. TerraCycle is a company that accepts a variety of used school and office items like empty juice pouches, empty Lunchable containers, and even pens so that they can be made into new products. You can sign up for this at http://www.terracycle.com/en-US/brigades.html. Luna is showing us some of the items we TerraCycle. Good luck and see you down the trail! 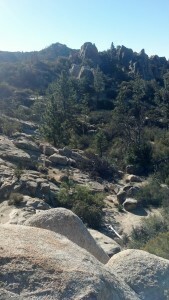 Here’s the view from one of our local trails in the San Bernardino National Forest. Tough to beat! Here at Pathfinder ranch everyone is embracing the season of being thankful! The Naturalists are extremely grateful to work with amazing students in such a beautiful place. The Jeffrey pines are smelling as sweet as ever, the the weather has been perfect for our hikes, and the night sky is lit up with constellations like Orion! The Naturalists aren’t the only lucky ones up here on the mountain. Gwar, our ball python is thankful for his heat lamp that keeps him warm during those chilly nights. Our chickens, turkeys, and garden plants are thankful for our compost. The poultry love pecking at the fruits, and the remaining compost turns into nutrient rich soil for our garden! There are so many things to be thankful for like our families, our friends, and our schools. Many of our students are grateful for nature and what it provides for us. It’s great to be aware and thankful for what we have and it’s even better to give back and take care of the things we are thankful for! 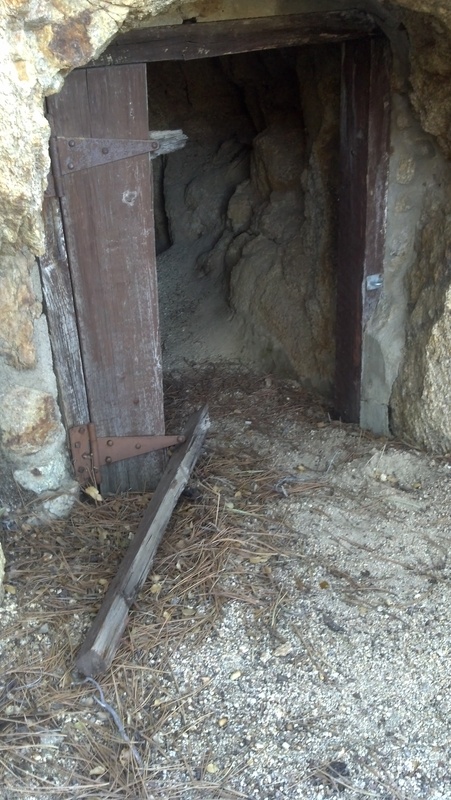 We are so thankful to have pieces of history right in our backyard, like this abandoned gold mine! How have you shown your appreciation for the things you are thankful for? How will you show your thanks in the future? If you’re thankful for the food you have, try volunteering at your local soup kitchen with a parent, or plant a garden in your backyard. If you’re thankful for your planet, try picking up the trash you see (like Dash 4 Trash) or recycle your old soda cans. If you’re thankful for your friends and family, try doing something nice for them or writing them a kind note! The Pathfinder Naturalists challenge you to create a change and show your appreciation for the things you have so that others may have a reason to be thankful, too! Be grateful for what you have and spread thanks wherever you go! Thanks to Willow for this great blog entry! Pathfinder Ranch’s Outdoor Education program is back in action! This week, Naturalists welcomed their first school of the season, and they look forward to learning with all of the schools to come. Here at Pathfinder, we like to do what we can to reduce our impact on the environment. We recycle, pick up litter, measure and reduce our food waste, and try to find creative ways to reuse things. One great way to get ready for a trip to Pathfinder Ranch is to start thinking about how you produce waste. 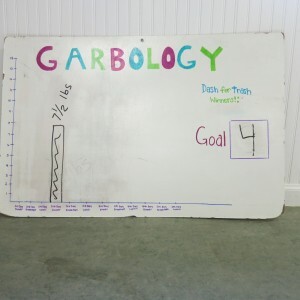 The study of waste is called garbology, and this can start in the classroom with a simple waste audit. In a waste audit, trash from a set period of time is collected, examined, sorted, and classified with the intent of finding ways to reduce the most commonly found sources. To perform a waste audit, a class should agree on the period of time they want to collect and store their trash. This could be as short as one day or as long as a month! Once all of the trash has been collected, it should be spread out in an open area, such as a basketball court, field, or on a tarp in the middle of the classroom. Students then work to sort items into like piles. These sorting piles can be as broad or as specific as the class wants, but the more specific they are, the easier it will be to find useful results. Classifications, such as items that could be diverted to recycling, items that could be reused, and items that could be replaced with reusable items, can then be applied to further sort the waste. Once these types of classifications have been made, the class can start thinking of specific steps they want to take to reduce their waste. For example, if students find that most of their waste is in the form of paper, they might decide to have a space to collect paper that be reused for scrap and a space to collect paper that can be recycled. Both of these actions can help a class reduce its impact on the environment. Good luck, and if you try this out, let us know how it goes!